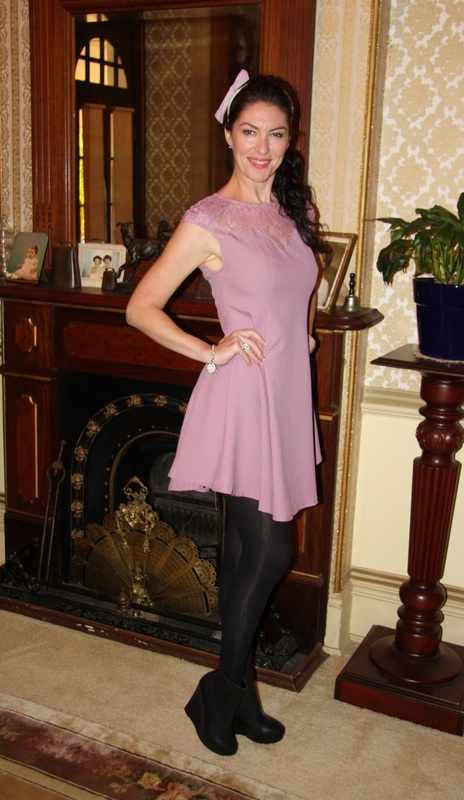 Outfit: Lilac skater-style dress with lace to bodice and shoulders. Shoes: Black leather wedge ankle bootees. Hair: Worn in a sideswept ponytail with height to crown, and a floral chiffon headband. Accessories: Black opaque hosiery, sterling silver and amethyst stud earrings, sterling silver bracelet with lifebuoy clasp.